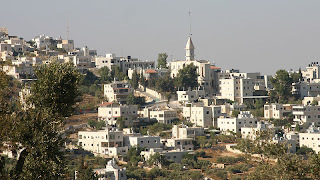 One of our favorite destinations, when we want to get away from the clamor of the city is the quiet picturesque village of Taybeh. The view from Taybeh looking east, includes open spaces, the sloping hills down to the Jordan Valley with the hills of Jordan on the other side, and a bird's eye view of the Dead Sea. 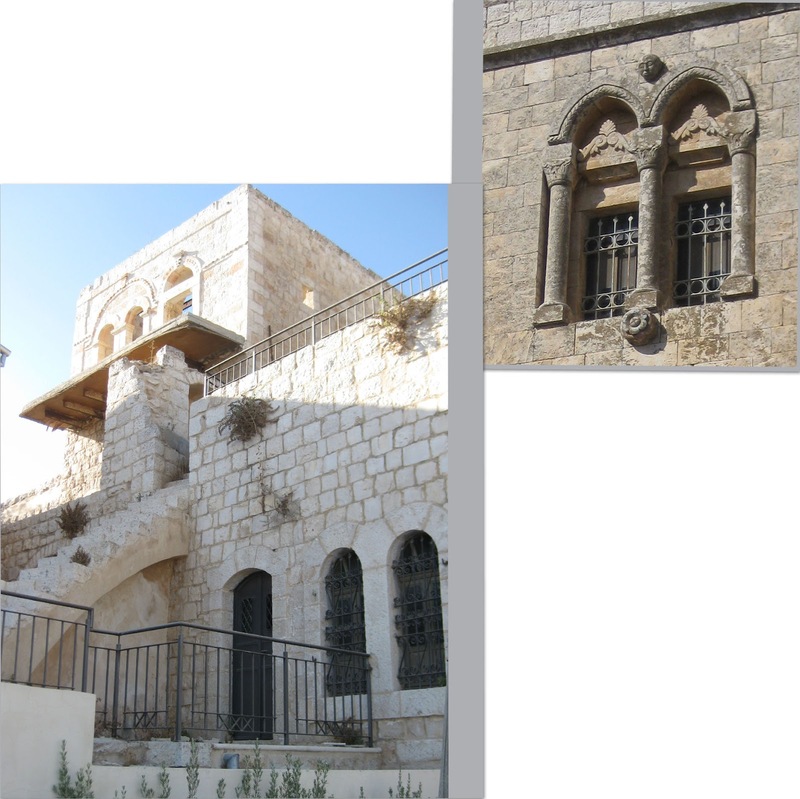 Each visit is an adventure, wandering through the streets of the old city and exploring architectural treasures. 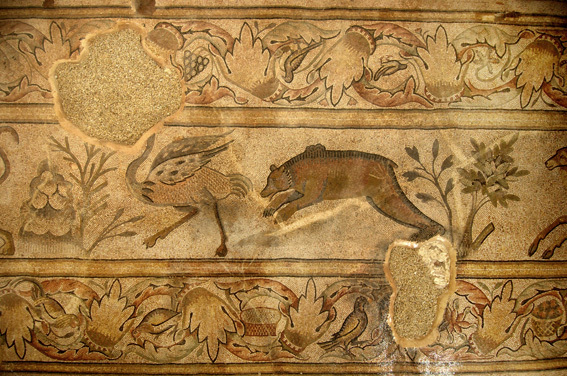 Tradition says that the story of Gideon and the fleece in Judges 6 took place on the threshing floor just north of town, when the town was named Ophrah. By the New Testament era, it was called Ephraim. Jesus and his disciples retreated here, a long day's walk, when overwhelmed by public reaction to the raising of Lazarus (John 11:54). What better endorsement can a small village have? When Saladin visited the village after defeating the Crusaders, he was impressed by the kindness and hospitality of the residents and changed the village name to Taybeen, meaning "beautiful." Today the village holds the remains of St. George's Church, first built in the 4th century in the Byzantine era, then taken over by the Latins under the Crusades, and then a Greek Orthodox Church once again. 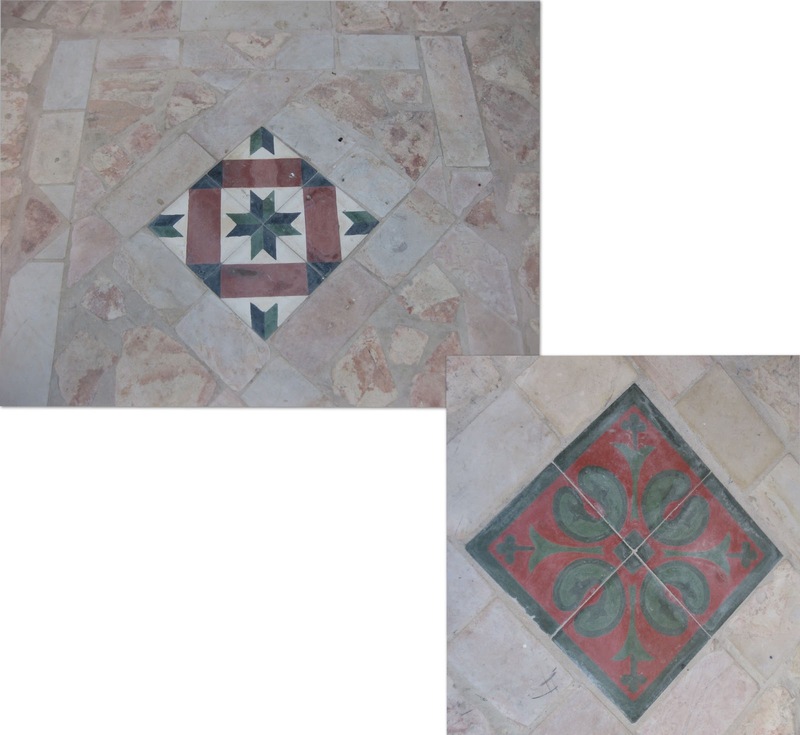 Even these modern churches are built on foundations from long ago with recent discoveries of mosaics. 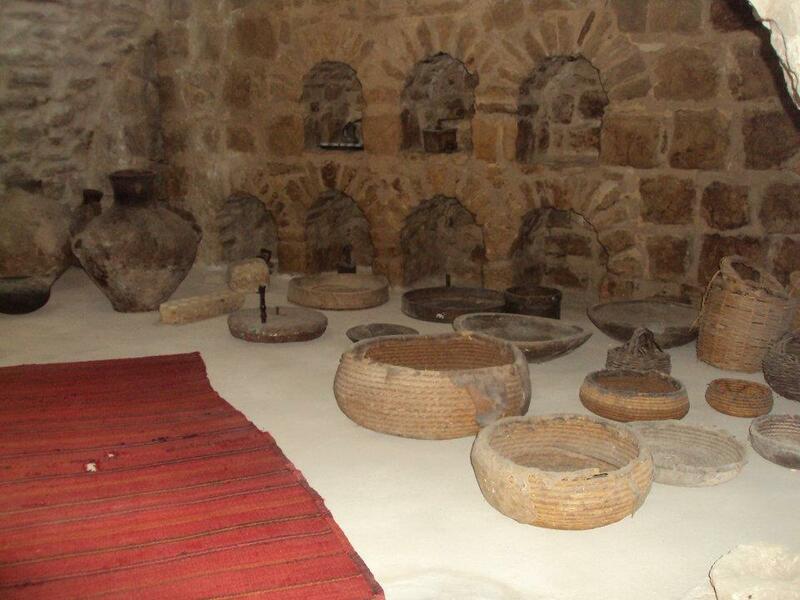 Historical records show that Muslims and Christians lived side by side for much of the village's history. Though today, this is a rare place where Christianity is in the majority. Some even claim its population is totally Christian. "The last completely Christian village," they say. 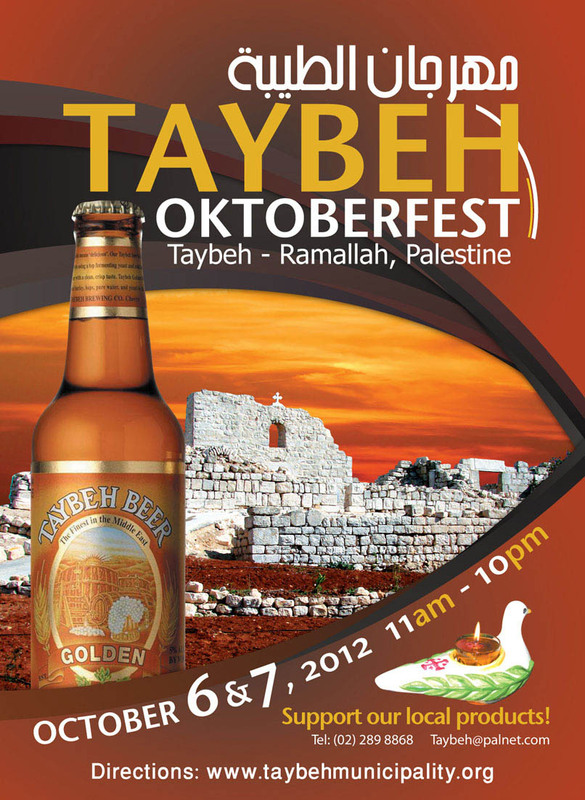 This Saturday we will have a congregational outing, carpooling up to Taybeh for their eighth annual Oktoberfest. There will be traditional Palestinian Dabke dancing, and international musical groups from Germany, Brazil, and Italy. Palestinian women will have booths selling traditional needlework, and artists will display their crafts. 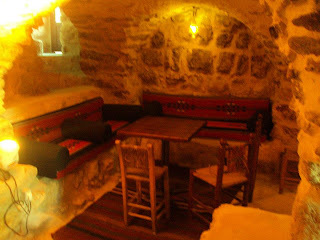 But the reason we all gather is to sample Taybeh beer. 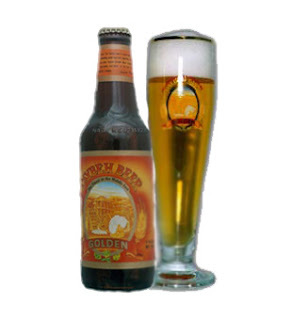 The Taybeh Brewing Company was established in 1995 when two brothers decided to return home after years abroad. They came in response to the promises of the Oslo Peace Accords that supposedly would end the occupation and establish normal relations between Israel and Palestine--including economic cooperation. Nadim Khoury, having spent time in Germany, returned with the vision of producing the finest beer in the Middle East, brewed according to Germany's 1516 purity laws. See the Taybeh Brewery Website. 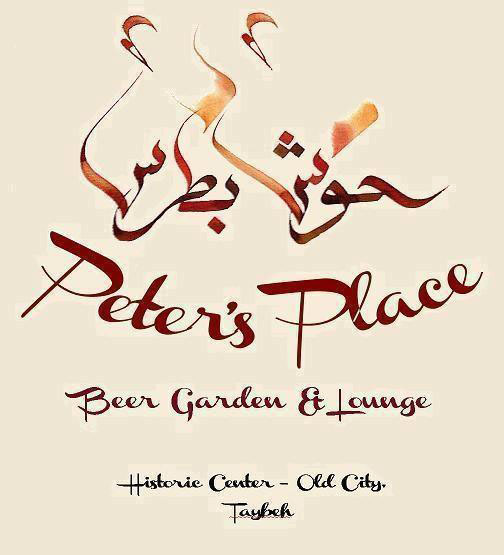 Since the name of the town Taybeh also carries the connotation of "Delicious," this is the perfect name for the beer. 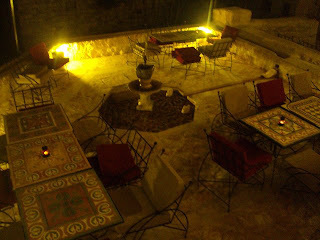 Taybeh's own Media Page (Click here ) shows favorable reviews from The New York Times, The Boston Globe, The Chicago Tribune, and Newsweek, among others. 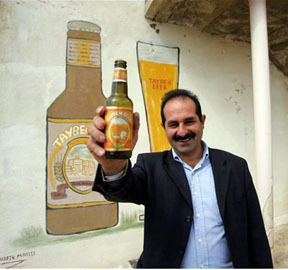 Brewery Co-founder, and brother, David Canaan Khoury, returned to Taybeh from the U.S.A. to serve as Taybeh's mayor for over a decade and a half. 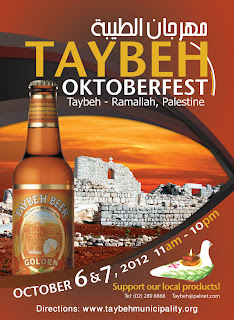 If ever there was a sign of the faith, hope, and resiliency of the Palestinian people, it is Taybeh Beer. Think about it! 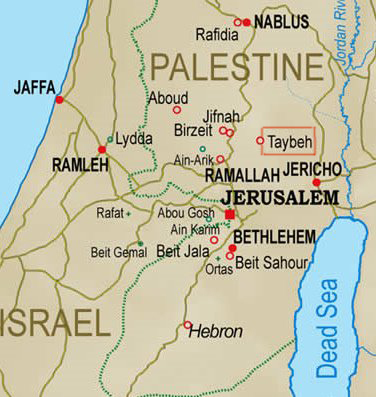 98.5 % of the Palestinian people are Muslims who do not drink alchohol. Trade with Taybeh's neighbors is totally dependent upon the government of Israel and progress in the peace process which is incredibly slow in coming. Still they are determined, as Nadim here discusses marketing plans with Madees Khoury, the first female brewer in the Middle East. Eventually Taybeh will win out. In the meantime, diversifying may be the answer. Nadim and David have introduced non-alcholic beer and wine, and they hope to bottle water, including flavored water. Distributing olive oil is also a solution. In addition they are building a tourist hotel in hopes that visitors will be attracted to the retreat-like atmosphere of a peaceful West Bank village. No visit to Taybeh is complete without taking time to chat with Maria Khoury, wife of David, and the unofficial public relations manager for Taybeh. 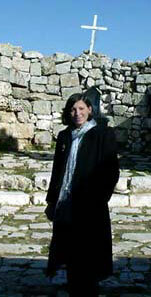 With a masters degree from Harvard and a doctorate from Boston University, Maria is very active in the Educational ministry of Taybeh's Greek Orthodox Church. 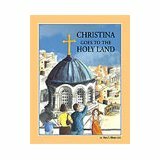 Maria specializes in children's books such as Christina Goes to the Holy Land -- a perfect souvenir for our granddaughters. 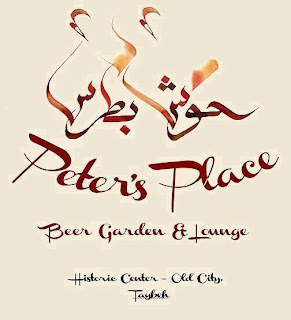 Peter's Place is our destination for lunch--in the middle of old city Taybeh. Peter Abu Shanab and his son Alex have restored one of the oldest homes in Taybeh for a place of fine dining. 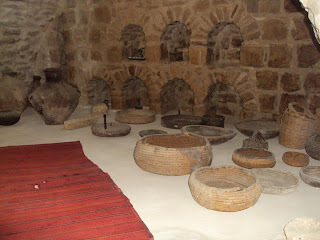 Decorated with antique pottery, domestic, and farming artifacts of eras long ago. Photos are from Peter's website. An outdoor beer garden with a fountain is the perfect spot for one last Taybeh. 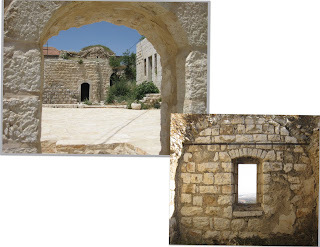 Taybeh is indeed a special place, off the beaten track. 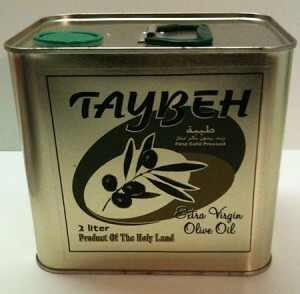 The questions are often asked, "How long will Taybeh retain its unique Christian character?" "What will happen if the trend of Christian emigration from the Holy Land continues?" Last April the CBS news program 60 Minutes featured the Christians of the Holy Land and this phenomenon of the disappearing Christian presence. 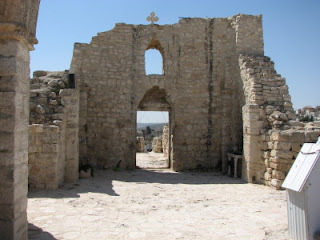 Although Taybeh did not make the final editing for the program, a six-minute clip about Taybeh is included on the 60 Minutes website labeled "60 Minutes Overtime." 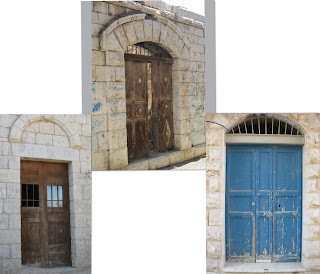 Father Raed of Taybeh's Latin Catholic Church left an enduring image with his answer to the question of the future of Taybeh Christianity. 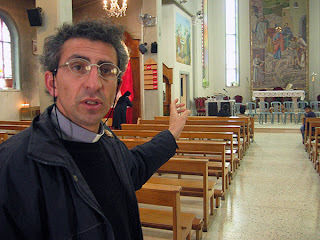 When confronted with the possible scenario of no more Christians in Taybeh, the celibate Father Raed looked at the camera with a twinkle in his eye and gave his answer. 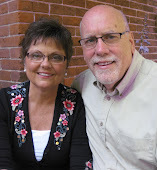 "Then I'll find a young woman to marry and together we'll raise up a new generation of Christians in Taybeh." 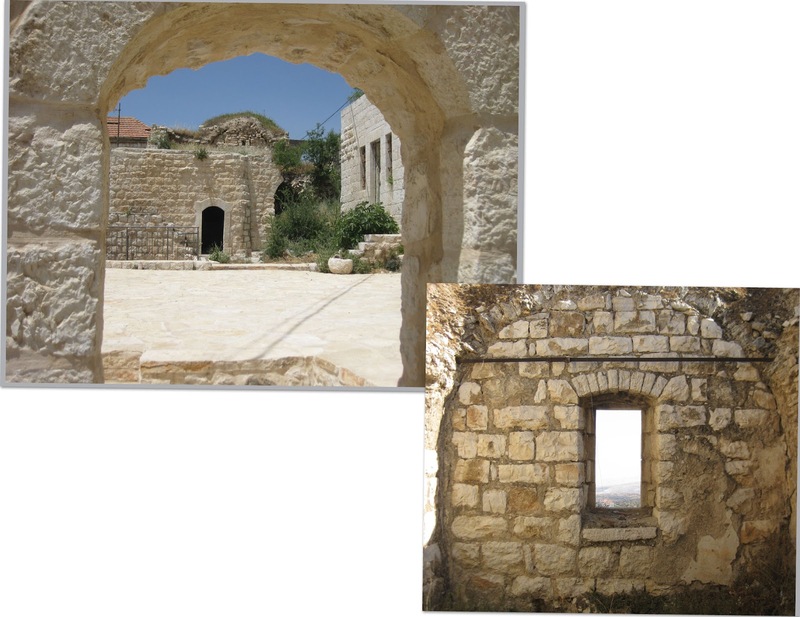 To learn more about Taybeh, see the Taybeh municipality website.